A toll worker was the victim of a hit-and-run crash Sunday afternoon. Photo via FHP. A toll worker was the victim of a hit-and-run crash Sunday leaving her with minor injuries. 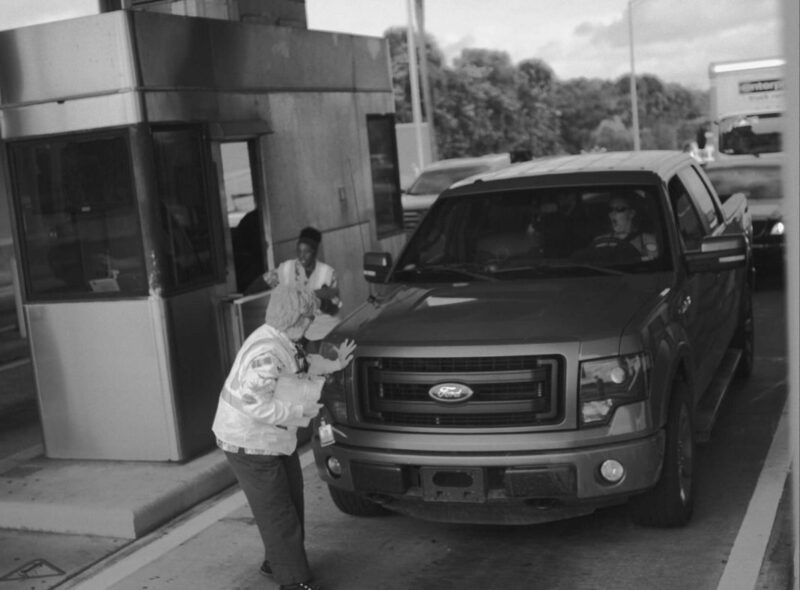 A 2013 Ford F150 was traveling southbound on Interstate 275 when the driver entered lane three of the Skyway Bridge toll plaza. The rear of a vehicle involved in a hit-and-run crash Sunday. Photo via FHP. According to the Florida Highway Patrol press release, toll workers instructed the driver to stop her vehicle to allow another employee to move across the pedestrian crosswalk. However, the driver did not stop, leading her to hit the toll worker with the vehicle. Elaine Wyman, 80, was knocked to the ground. The driver initially stopped. But, moments later fled the scene. 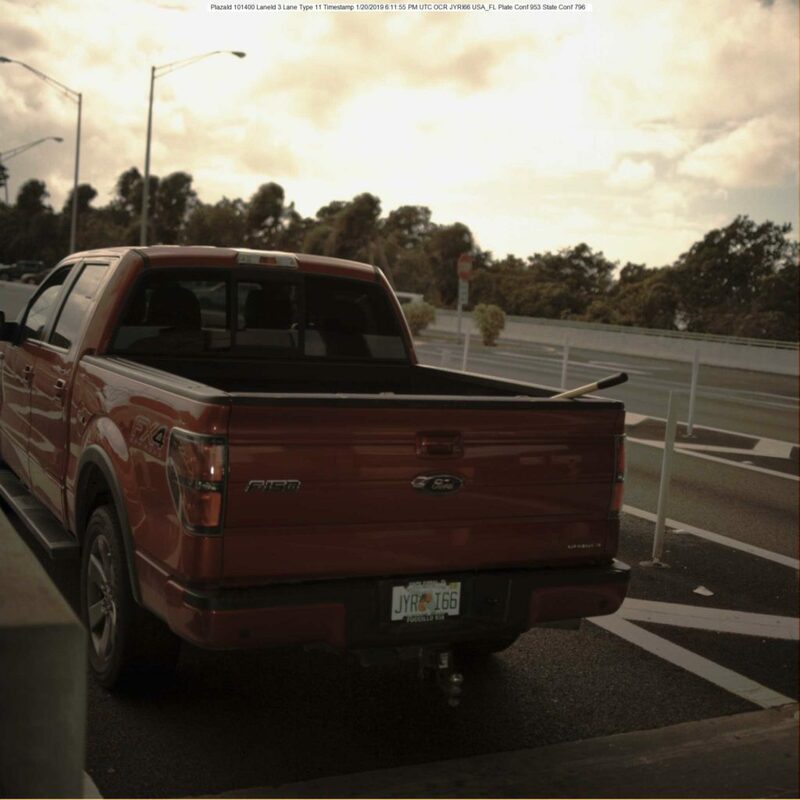 The Ford F150 is red with the Florida tag, “JYRI66.” Anyone with information on the driver is encouraged to contact FHP at (813) 558-1800.